A little while ago, I got all excited by the idea of making some lemon and poppy seed protein doughnuts. That’s a lie. I got all excited by the idea of making lemon and poppy seed doughnuts, cakes, cookies, protein bars, desserts, tarts … pretty much anything. I posted the question on the Facebook page “Lemon and poppy seed? What say you?” and the response was enthusiastic, for both healthy, high protein treats as well as more standard, indulgent fare. So I had planned something like cookies, or a pound cake or something comforting. But then my weekend plans got derailed. Again. You see, I don’t get out much. Sometimes it’s my fault, and sometimes it’s just life getting in the way. As it is wont to do sometimes, right? It is wont to do this often, in my case. But last weekend, I really really wanted to go to the Paris to Provence Festival here in Melbourne. It’s an annual event and I missed it last year, much to my dismay. Lots of food and cooking demonstrations, sessions about travel and French real estate, street performers, French food, food, food, and French products, both imported and locally made, by enthusiastic Francophiles … all on display and all to be sampled and enjoyed. All this in the beautiful gardens of Melbourne’s Como House. The weather was sunny, warm and perfect. But life got in the way. Again. So I got up early in the morning to make my lemon and poppy seed cake … but ended up making Madeleine instead. Just to bring a bit of France into my weekend and make up for missing the festival this year. There were no random French street performers, no stalls of lovely French goodies, but the house was filled with the delicious aroma of a French bakery and Madeleine were enjoyed by all. But they were all gone in 24 hours, which is a nice way of saying that they were superb and making them took my mind off all the other things I was supposed to be doing that weekend. 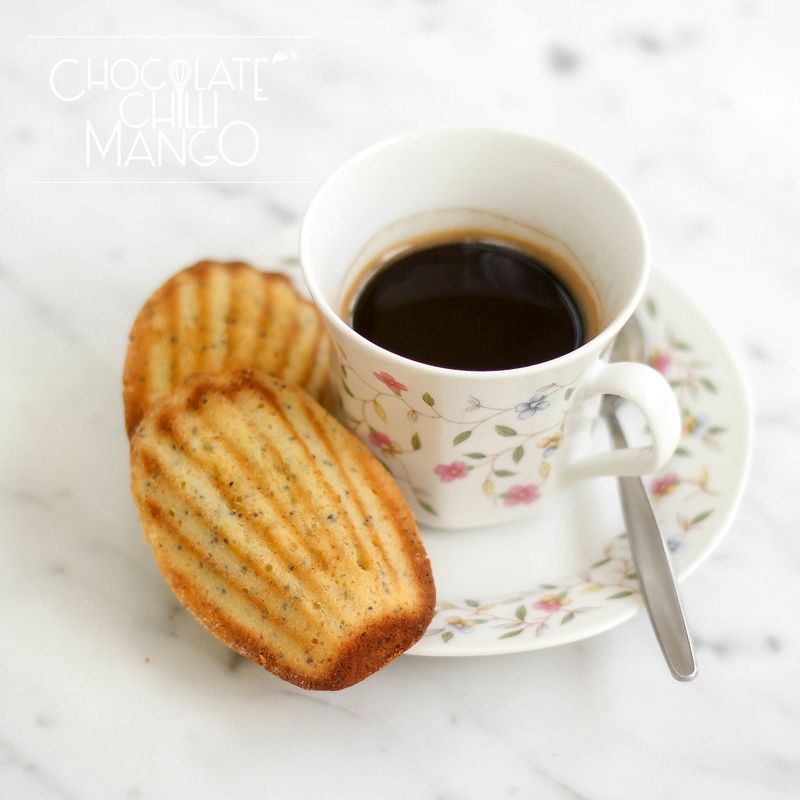 The freshness of the lemon and the sweet crunch of the poppy seeds were perfect against the buttery lightness in a Madeleine. They are delicious served on their own with an espresso or cup of tea, or as part of an afternoon tea spread. They are also fantastic served along side a creamy lemon gelato as part of a dessert. If you’d like to see what this year’s Paris to Provence Festival was like, have a look at all the wonderful photos here. It’s not the same as being there but it’s something. There are various traditional versions of the Madeleine recipe, some richer with butter, some lighter and more airy in texture. But all are buttery sponge-like cakes that are best eaten the day they are made, although they do keep for a couple of days, if you store them in an airtight container, at room temperature. In the bowl of a mixer, combine the eggs, sugar, and honey. Whisk until pale, light, and doubled in volume. Sift together the salt and flour. Add to the whisked egg mixture, and add the yeast and poppy seeds. Mix until well combined. Drizzle over the melted and cooled butter, and mix until the dough is smooth. Cover with cling film and refrigerate the dough for two hours. Preheat the oven to 225℃. Use the extra butter to grease your Madeleine pans. Be generous! Dust them with sifted flour and tap out the excess. Fill the Madeleine molds about three-quarters full with a tablespoon or so of the dough. 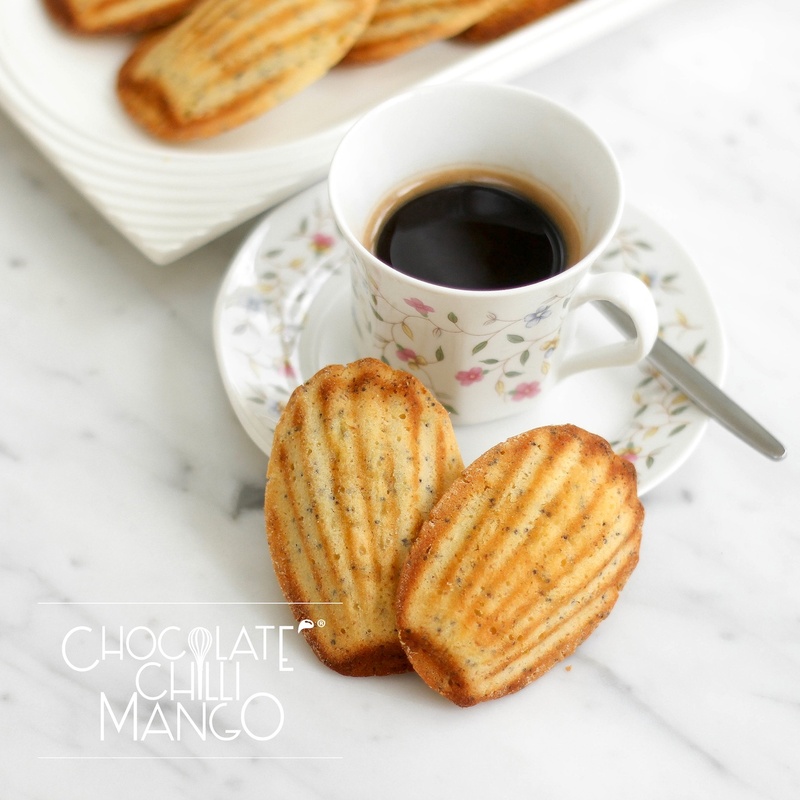 Leave a mound in the centre if you would like to get the classic dome in the centre of your Madeleines. Place in the oven and reduce the temperature to 200℃. Bake for about 3-4 minutes. Reduce the oven temperature to 180℃ and bake for a further 4-5 minutes until risen and golden. Do not over bake the Madeleines or they will become dry. 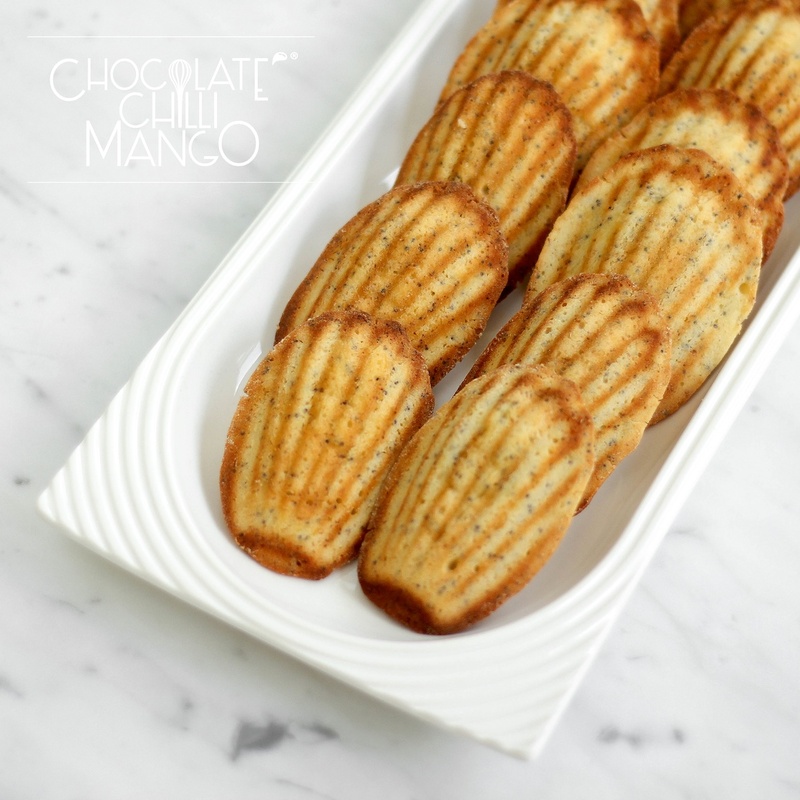 If you only have one Madeleines pan of 12 molds, bake in two batches. Simply wait for the pan to cool sufficiently, use the remaining butter to grease the molds, dust with flour as per directions above, and proceed to fill and bake the remaining Madeleine. 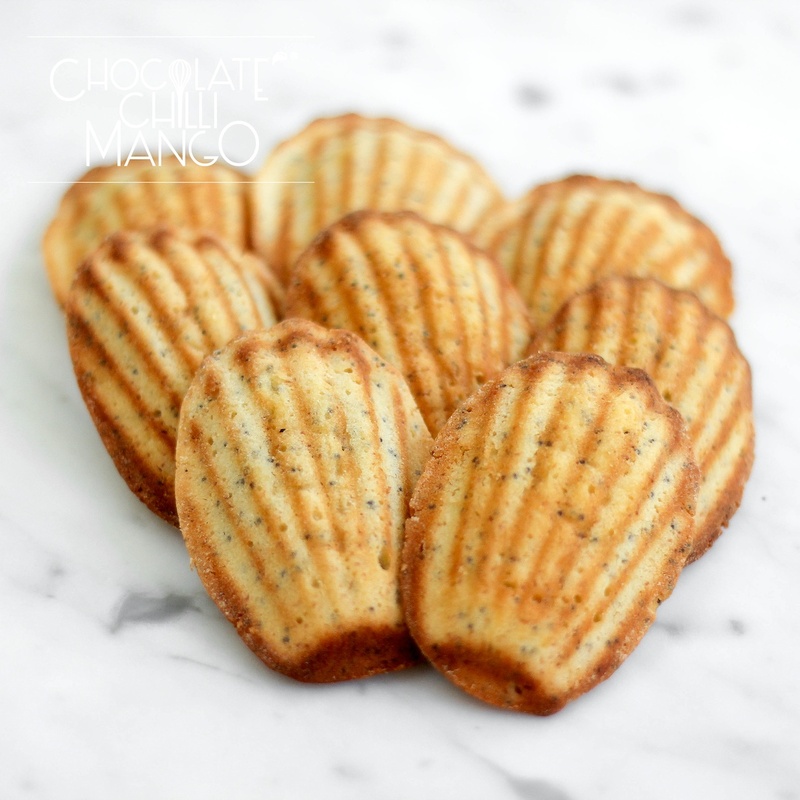 Cool the Madeleine and serve on the same day or store, airtight at room temperature for up to 2 days.